For Feature Friday this week, I'm trying something a little different. I have started with two quilt patterns, and went looking for quilts made from them. Here is what I found. Lindsey made the king size! What a cheerful color scheme! She wrote a 9 part series on her blog about her epic experiences! Bink made a more *cough* reasonable size - the twin. 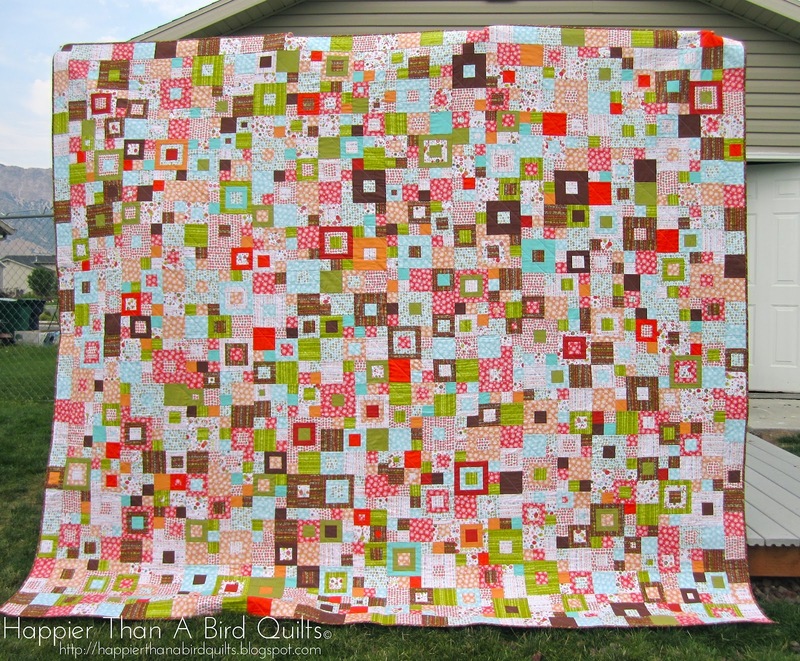 I love the look of that in the ditch quilting! It really makes those blocks pop! My second quilt to look for is Jen Kingwell's striking Steam Punk. There's been a lot of talk about this one! This is the picture that comes with the pattern. Cindy Lammon made this bright and pretty version. You really must go and look at all the details and other photos on her blog. It's really interesting to me how the choices we make about fabric end up communicating a different feel to the project, whether those choices are fabrics, or colors, or prints verses solids, or choices made in quilting. I think each of us could make a quilt using the same pattern, maybe even the same colors, and they would still look totally different, and that's what is amazing about quilts to me. They're so much about us, the makers, and so much about themselves, what we make them into, that they can't help but be unique! Feature Friday will be taking a break next week, but we'll be back soon! 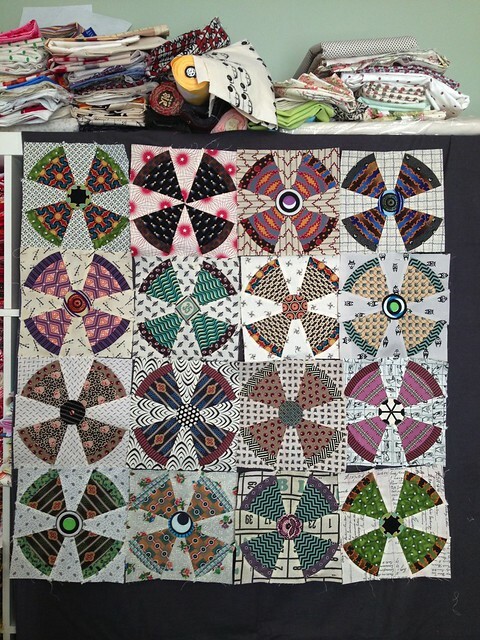 With more quilts! In the meantime, tell me what patterns you'd love to work on next! And don't forget to add your projects to the Made with Pink Castle Fabrics Flickr group.